After playing Karin Dreijer Andersson’s solo debut at our last meeting and explaining my strained journey to liking Silent Shout by The Knife (Fever Ray’s parent-group, if you like), it seemed like an obvious choice to bring that album along last night, so I did. Since our last meeting I reckon I’d had the extra half a dozen listens I predicted I’d need to really, really like it. I bought Silent Shout not long after it came out in February 2006, enticed by the rabid hyperbole being thrown its way on messageboards and blogs. The idea of atmospheric, intriguing Scandinavian dance music seemed like it would be right up my street, and, indeed, I loved the opening title track from the off. But it stopped there. Something about Silent Shout rubbed me up the wrong way, and I took against it vehemently, and cast it out. Or, at least, let it gather dust on the bottom-shelf (had The Knife been called The Spatula or The Baster, they’d have been situated on a higher shelf, at approximately eye-level, and thus harder to ignore, perhaps). Partly I think my antipathy was to do with the thickness and density of the sound; in early 2006 I was at the height of my anti-compression campaigning, and I think I was looking for spacious, intricate, architectural sounds more akin to The Box by Orbital than what Silent Shout actually offered. Something nagged me about it; I wanted to understand what the fuss was about, to catch a glimpse of what I was missing and worm my way in. When I loved the Fever Ray album from the off, my desire to get Silent Shout only intensified. Though it’s just as creepy and strange as The Box, Silent Shout gets there by different means; by and large it’s an album of direct, thumping, dancefloor-focussed electropop, irresistible beats and synth riffs (just get a load of the crazy, hook-laden opening to Like A Pen, which could be off Debut by Björk), but that thick production allows an array of startlingly cold, unnerving, and edgy textures and melodies in almost by the back door. And then there are the voices; processed, performative, unrecognisable and alien. Both Karin and Olof sing, but it’s often hard to tell who is who, or if either of them are even human, let alone what the actual words they’re enunciating are. But when you do start to notice the words (or, you know, look at them in the sleeve), and you realise that you’ve been dancing to a song about domestic abuse or tapping your steering wheel to a song about childhood alienation. It’s… discomforting, to say the least. But that’s Silent Shout’s genius, like a lot of great music; it has the push-me/pull-you dynamic that we’ve talked about before at DRC, beats and hooks to lure you in, textures and atmospheres to make you feel uncomfortable. Finally, I get it. Tom Listened: Silent Shout was, in many ways, the record of 2006 – it topped numerous end of year album polls and signaled a new sound in electro-pop. Compared to, say, last month’s Junior Boys album the glacial fragility of Silent Shout produces an effect that is a million miles away from the bedroom environment that much of this genre evokes. It’s impossible to listen to Silent Shout and not think of snowy wastes, dark days and interminable nights, howling, icy Arctic blasts and mile upon mile of impenetrable evergreen forest. It’s a fantastic album, one that I listen to rarely, have always admired and, in a similar way to Nick, feel an ever increasing affinity towards as my understanding of it improves. 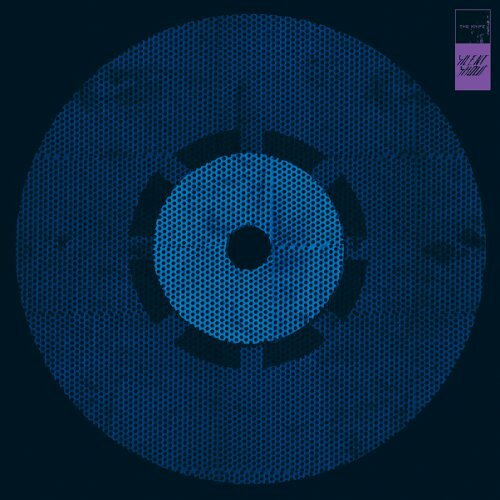 Rob listened: I knew nothing of The Knife until ‘Silent Shout’ topped the Pitchfork end of year poll in 2006. I bought it straight away and was entranced by it from the first listen. The skipping arpeggios of the title track, the clanging factory propulsion of ‘We Share Our Mothers’ Health’, the spooked domestic doom of ‘From Off To On’, the heartbreak of ‘Still Light’. It’s a wonderful record, one of contrast and coherence, motion and emotion and one of my very favourites of the last ten years. Graham listened: Really enjoyed the atmospherics of this and some clever touches when it did the unexpected on a few tracks. I’m not sure I was getting the landscapes it painted for some of my colleagues but it oozed subversion and tension with hooks that keep you listening.